Patronized by royalty between the sixth and eighth centuries, the monuments of Guatemala's ancient Maya city of Piedras Negras were carved by sculptors with remarkable skills and virtuosity. Together patrons and sculptors created monumental imagery in a manner unique within the larger history of ancient Maya art by engaging public viewers through illustrations of ceremonies focusing on family and the feminine in royal agendas. 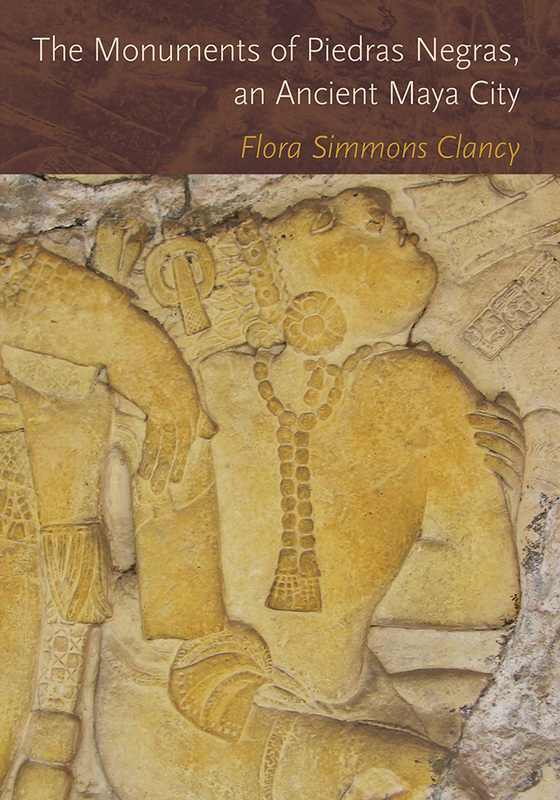 Flora Clancy's introduction contextualizes her work with other studies and lays out her methodological framework. She then discusses the known monuments of the city sequentially by reigns. Individual rulers are characterized by a biography drawn from the hieroglyphic texts and the icons or imagery of their monuments are analyzed and discussed. Although the monuments of Piedras Negras are acknowledged as social, political, and cultural productions, Clancy also treats them as works of art that at their best operate on transcendent levels dissolving and overruling the contingencies of history and cultural differences. Flora Simmons Clancy is professor emerita of art history at the University of New Mexico. She is a highly respected scholar in Maya art and iconography whose research has focused on Guatemala, Honduras, and Mexico.